On Friday 04 December 2015, the Earth Watch Club conducted its annual Nature Art Competition. 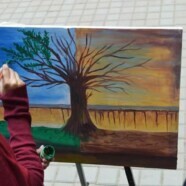 The competition is a forum for students both from within and outside the university to express their creativity and artistic skills along a central theme. This year the theme was soil, following the international year of the soil. 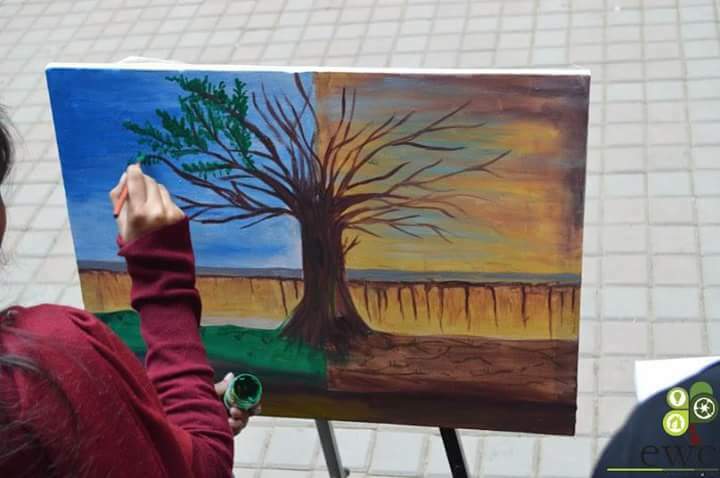 The aim is to give students a chance to raise awareness and encourage broader thinking about climate and environmental issues through the artistic mediums of sketching, painting and photography. The competition had a good response with over 30 students from various institutions participating. In an effort to expand the outreach of the event, the Earth Watch Club invited students from the CARE foundation to take part as well. In addition, the competition also provided a forum for awareness about the Society for Protection of Neglected animals; a NGO working towards providing a safe haven for rescued animals. In conclusion, the event produced some stunning pieces of art with Miss Alvina from the CARE foundation winning the award for best painting while Allama Iqbal Medical College won the award for best overall team.